We see responsible stewardship of the earth and its resources as an integral part of the Clarke University core values of freedom, education, charity and justice, as well as our Catholic identity. The Clarke community actively embraces new sustainable habits and helps contribute ideas for change. In 2011, Clarke University created a Sustainability Committee. The committee is a passionate and dynamic group of students, faculty and staff, meets each month to plan campus sustainability projects. The committee, in accordance with its mission stated below and the campus sustainability policy, routinely collaborates with Campus Ministry and CLEAN, the student environmental club. 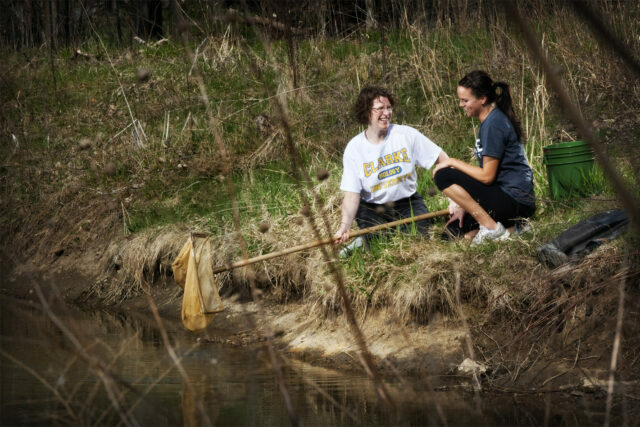 The Clarke University Sustainability Committee serves as an educational resource, catalyst, and advocate for environmental sustainability initiatives at Clarke that reflect our Catholic heritage and promote global awareness and social responsibility for today and for future generations. The committee is divided into three working groups of education, visibility and ideas. Many sustainable projects across campus (some subtle, some substantial) are making a big, “green” impact. Here is a short list. Six water bottle filling stations that track the number of water bottles saved from the landfill have been installed at various campus locations. Each station tracks an average monthly savings of 6,000 bottles. Sustainability committee members collect scrap paper from recycle bins to donate to local schools. The Catherine Dunn Apartments received the EPA’s Energy Star Award. More recycling availability: Recycling bins are now placed in each dorm room, attachable recycling containers have been added to classroom and office waste baskets, and large recycling containers are accessible in public areas. Reduced water consumption: Old washing machines are now replaced with energy-efficient machines resulting in 24,000 gallons of water saved each month. Reusable bottles and mugs are distributed for beverages in the Student Dining Room, Kehl Center, Crusader Café and Switchboard. Battery and electronic device collection boxes are now available in all residence halls to help keep heavy metals out of landfills. An annual office supply swap reduces resource consumption by reusing supplies. Installation of energy-efficient lighting in the Kehl Center and numerous other campus locations. Got a green idea? Email us with any questions, comments, suggestions or concerns. Members of the Clarke community – student, faculty, or staff – with an interest in sustainability are welcome to assist the committee with upcoming projects or suggest new ideas. 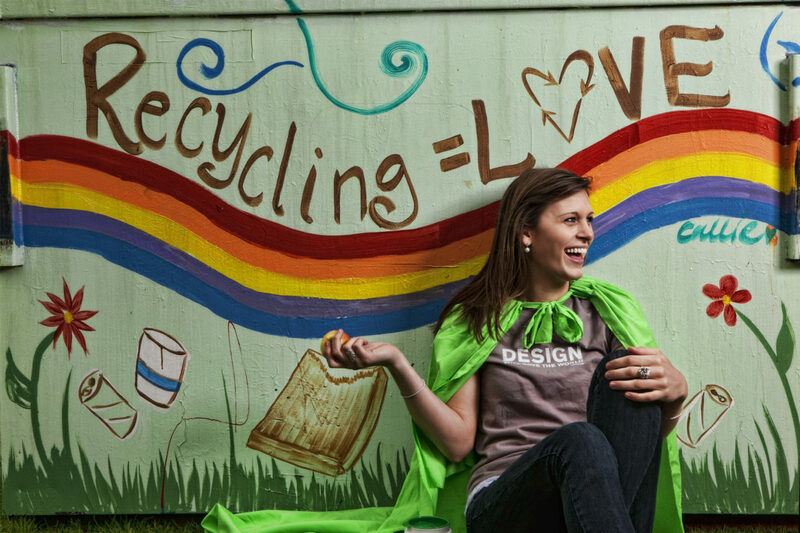 The Petal Project is a local program that helps businesses and organizations save money and protect the environment by changing habits and meeting sustainability-related goals. Clarke University is designated as a Tree Campus by the Arbor Day Foundation.